We are committed to providing you excellent support! 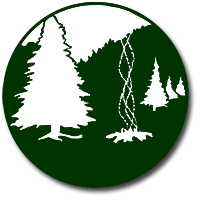 Our team has put together this support document with a collection of answers to the most common questions families ask about CampDoc.com. This document is intended to provide you with efficient and effective solutions! You may review this document in full, or reference specific sections as needed. As always, please do not hesitate to contact us if you have questions not answered in this document or need additional help. You can email our support team at help@campdoc.com or call us anytime at 734.636.1000.
your organization yet, so it may take a few days before you receive an email from us. I accidently deleted the email you sent, how do I sign in now? notification to your email address. modern browsers, which also provide improved security and performance for health information. email address, go to the About You page. To change your password, go to the Security page. email address and click save. name or date of birth is different from last year (e.g. Jon instead of Jonathan). or steps for you to complete. Can I copy health information between siblings or between organizations? have an “auto-complete” feature that may speed up the process. and you won’t have to type it again if your children attend the same organization in the future! My child’s name or date of birth is incorrect/misspelled, how do I fix it? change your demographic information. These changes must be approved by your organization. not be reflected in the account until your organization approves it. the right of your child’s name and date of birth. incomplete questions within a step will be outlined in red. free-text to add your specific allergy or medication. them by mail or fax, so they may scan/upload the documents into your account on your behalf. files/pages, just drag-and-drop the additional files into the upload area. additional files/pages, just click the upload area again, and select the additional files. organization directly on their vaccination policy. Believe it or not, there is no submit button, and the information you enter saves as you type it! Once your account is 100% complete and all steps are highlighted in green, you are all done! may be other circumstances that prevent you from completing the health profile on time. you will have access to your health profile even after the due date has passed. your request and your account is unlocked. REGISTRATION This section is only applicable for camps using our online registration system. If you’ve registered your child for camp elsewhere, you can ignore this section. How do I sign up and register my child? you can add a NEW PARTICIPANT and REGISTER FOR A NEW SESSION. How do I register additional participants? To add additional participants, just click the NEW PARTICIPANT button on the left of the screen. the REGISTER FOR A NEW SESSION button. To cancel your registration or deactivate your account please contact your organization directly. They will be able to remove the registration from your account and process any refunds. cancellations, please contact your organization directly. choose to pay your full balance or pay a specific amount. After you’ve signed in, go to the Account page and click on the SETUP A PAYMENT PLAN button. be able to select an amount, length of time, and day of the month for the payment plan. will need to cancel your current payment plan and then setup a new one.